He is consistent. He remains solid. God is not shaken by the schemes of evil people. He does not run away in fear. God is not moody. His colors do not change with a whim. God is not fragile in his emotions. He can be trusted and relied on to respond with unconditional love to you. Do not be confused. God is not an unfeeling, immovable rock. His heart beats with the heart of a Father. He rushes to save his little one who is lost, surrounded by trouble. God parts the heavens and comes down. He thunders, throws down bolts of lightening and routs your enemies. He reaches down from on high and takes hold of you. He rescues you because he delights in you (Psalm 18:9, 13-14, 16, 19). Do you realize that your Father God is strong and loving? He moves into action on your behalf. He is full of protective love toward you. His tender heart rushes to intervene in your life. 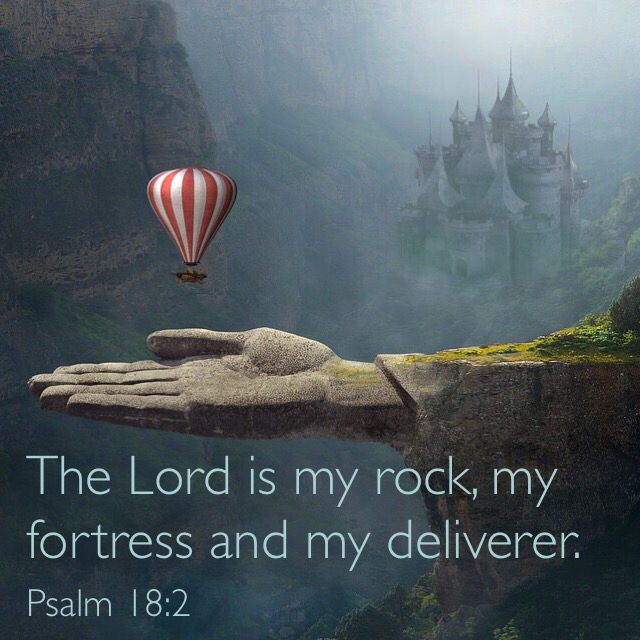 God, your strong rock, your tender strong rock. The unshakeable One who shakes mountains on your behalf. Do not fear. Trust him with your joys and concerns. Trust him to treat you with consistency and care. Your God is wholly reliable.